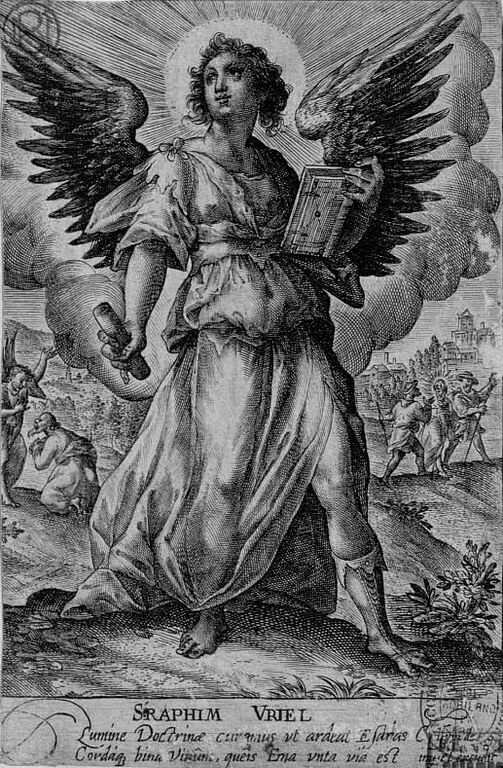 Uriel is one of the „elderly“ angels of the religious and mystical tradition, often listed together with Michael, Gabriel and Raphael. The four archangels govern the cardinal directions, the seasons, the zodiac signs, the four elements, the four human directions, together with the other quadruple attributes. His name means in Hebrew „The Light of God“ or „The Lord is my Light“, some interpreting it as „The Fire of God“. Uriel is the archangel of earth and fire at the same time. 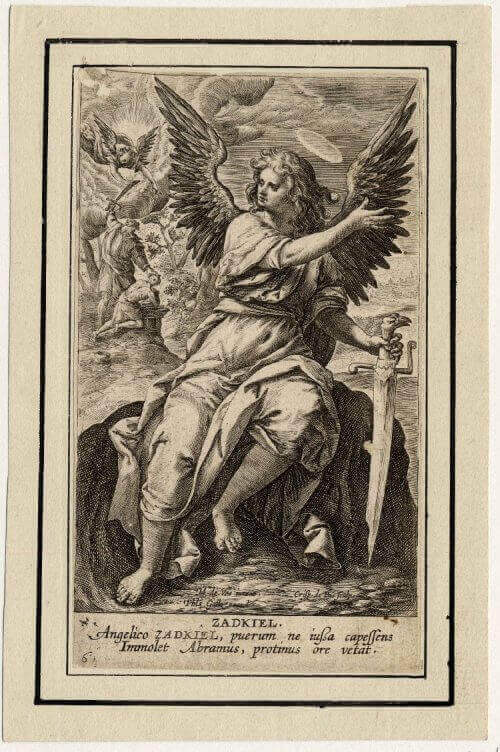 Even though at the Council of Rome in 745 a.d Pope Zachary forbids the worship of the archangels and starts a campaign in order to eliminate their names (except Michael, Gabriel and Raphael), The Orthodox Church commemorates the archangels on the 8th of November, including „Uriil, Salatiil, Iegudiil and Varahiil“, completing the group of the seven archangels of God. The Byzantine iconography portrays him holding a sword in the right hand („outspread against the Persians“, after the Old Testament tradition) and a tongue of fire in his left hand, following the legend found in „The Books of Esdras“. The sword is a symbol of power, royalty, nobility and justice which shows off his authority and the tongue of fire represents his fiery nature. 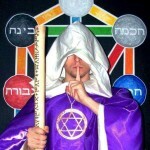 Confessions about Uriel don’t come from Bible’s canonical texts but mainly from apocryphal texts, from the Hebrew legends and sacred traditions kept by scholars. 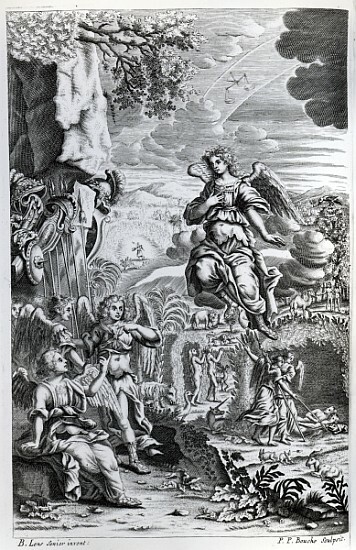 For example „The Apocalypse of Peter“ presents Uriel as the angel who guards the abyss, being the chief of the avenging angels. 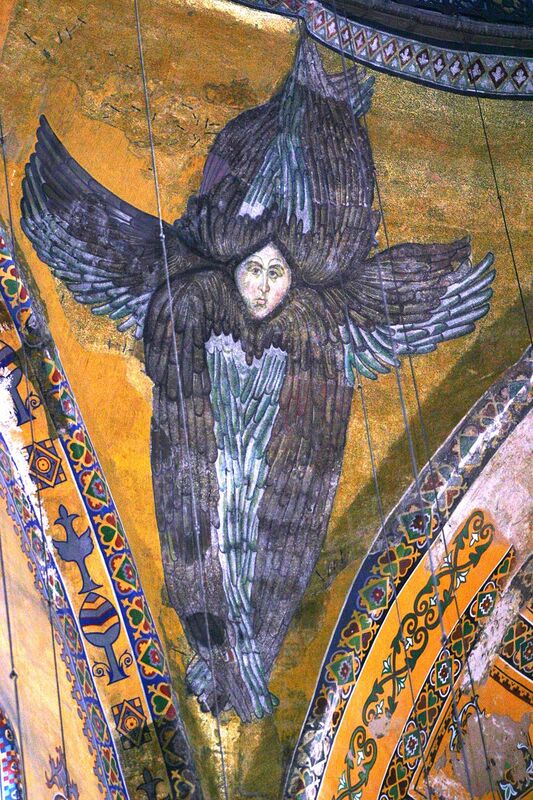 He is often depicted with seraph wings and a fiery sword (it is said that he was the seraph put to guard the entrance of Eden after the fall of the primordial parents) or with a glowing face that cannot be looked at by mortals. Uriel appears in many different forms, but mostly he takes the shape of a cherub or of a child whose purity and light could be hardly compared with any other living creature. He is associated with Earth and sometimes can take the shape of a woman wearing a royal attire, personifying Nature or Mother Gaia. He is the keeper of the mysteries of the Earth, nothing happens on this planet without his acknowledgement. 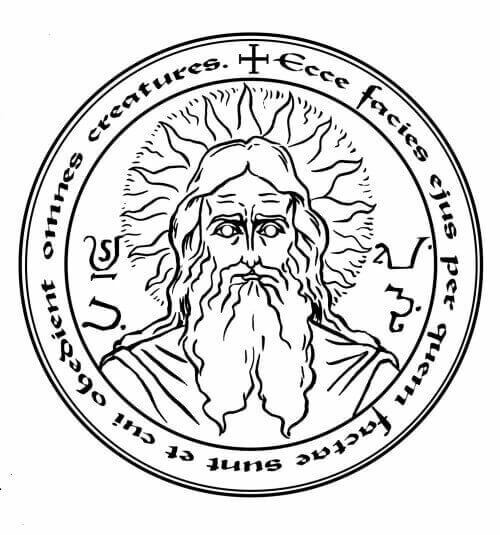 From the initiate point of view, one of his attributes is managing Karma and applying the Divine Laws of the Equilibrium in a very similar way as his brothers Tzadkiel and Samael. Uriel is the archangel of repentance, he is the one whom the suffering souls ask for mercy, and that is the reason why it is said that he presides over clamors. His justice is special, having influence and authority in applying divine punishments both to mortals and to the evolved spirits that make mistakes or rise against the divine order of the Creator. Uriel is of an infinite gentleness when it comes to the righteous and good people which he always helps whenever they call him. His protection is infallible, departing the strikes of any enemy which attacks unfairly, be it animal, human, demon or other creature. His mercy is as big as his ruthlessness, being fully detached in applying the lesson of suffering to those who deserve it. In the karmic council he is the one who can give sentences to the judged souls, in conformity with the superior laws and with the will of the Father, and he is the one that can provide to the sentenced soul the choices that must be made in order to fulfill their punishment. Helena Roerich names Uriel „The Lord of Powerful Action“ and says that he personifies in all planes the Divine Fire, the manifested light. In the physical plane, the power of Uriel is manifested in the fusion from the center of the Sun, the fission from the center of the Earth and the sacred spark of Kundalini. Uriel represent the creative force, the force that generates anything, from Universes and Solar Systems to life itself. He is an archangel of creation, of fire and light in his constructive and vital hypostasis. Uriel can help us on our spiritual path and in any trouble if we address in full humility so that our deeds can be forgiven by God. Uriel can help us understand suffering and why bad things happen to certain good people or why there are some people who suffer despite the fact that they shouldn’t suffer. The help of Uriel comes when we feel like we immerse into darkness, ignorance and misery. Then he can pour upon ourselves, at our request, the light of God.